The word worship comes from the Old English weorthscippen, which means to ascribe worth to something or to shape things of worth. We worship, then, whenever we ascribe worth to some value, idea, experience, attitude, or activity and give form or shape to that which we find to be of worth or value. opening ourselves to that which is greater than ourselves and that which is sacred or holy (by whatever name we call it). to transform our lives, empowering and inspriring us to transform and heal the world. We gather for worship every Sunday morning at 11:00 am in the Fellowship Sanctuary. 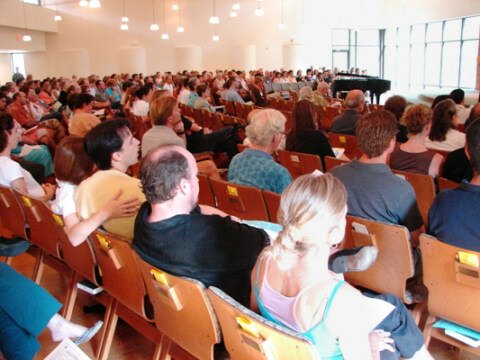 Our Sunday worship service usually lasts about 65 minutes, followed by “coffee hour” in Founders Hall. Special worship services (Christmas Eve, Easter Communion, Passover Seder, Animal Blessing, etc.) are also held from time to time throughout the year. words of benediction to send us out into the world to put our faith into action. From time to time, our Sunday worship services incorporate holiday celebrations (Thanksgiving, Yom Kippur, Hannukah, Passover, Easter, Earth Day, MLK Day, etc. ), multi-generational stories and plays, extended musical performances, and sepcial ceremonies or rituals including Flower Communion, Ingathering and Water Communion, New Member Recognition, Child Dedication and Blessing, etc. Everyone–including visitors, newcomers, seekers, and “church shoppers”–is welcome to join us for worship. All are welcome and all means all! 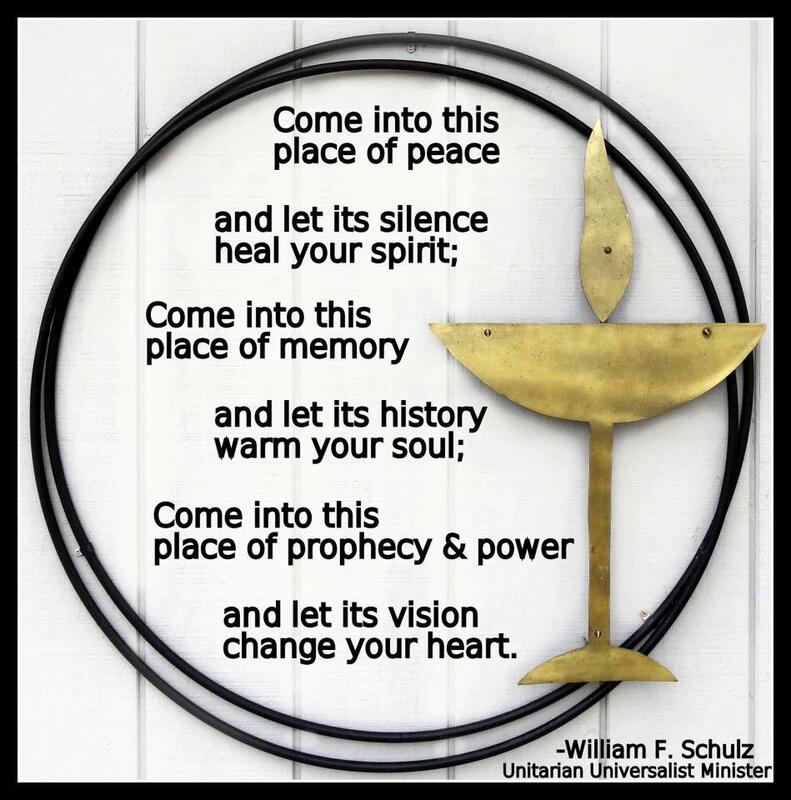 Whoever you are and wherever you are on life’s journey, you are welcome here at UUFR regardless of race, ethnicity, socioeconomic class, sexual orientation, age, political affiliation, or religious belief. Come as you are! You don’t need to dress up in your “Sunday best.” Some folks wear shorts and T-shirts. A few wear coats or ties. Most of us dress casually. Wear whatever you feel comfortable wearing. Children of all ages are welcome at our Sunday worship service. Parents and younger children are welcome (but not required) to use our “wiggle room,” which has audio and visual access to the worship service in the Sanctuary. We also provide nursery care and preschool classes during Sunday worship services throughout the year for children aged four or younger. On most Sundays (except during the summer), older children participate in the first 15 minutes of the Sunday worship service before leaving to attend their religious education classes.